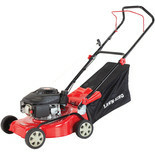 Draper rotary lawn mower has three cutting heights to make cutting grass easy as possible.With a 30L grass collection box.Equipped with foldaway handle for easy storage. 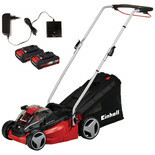 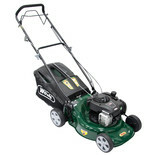 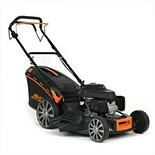 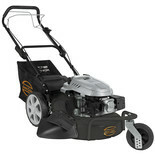 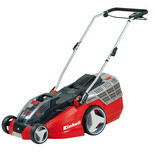 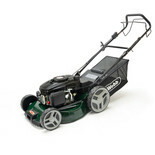 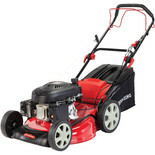 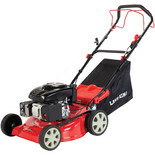 As spring approaches, all gardeners will need a lawn mower to keep their grass neat and tidy. 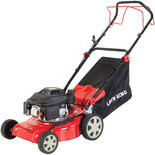 Our range of lawnmowers can provide your garden with that pristine lawn you crave! 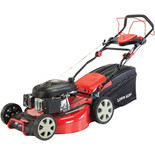 We stock a wide variety of different models: from ride on & electric mowers to suit the home gardener and petrol driven lawnmowers & lawn tractors for those who need more heavy duty models for agricultural use. 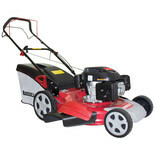 The lawn mowers we stock are user-friendly, versatile, built to last pieces of equipment with reliable and quiet engines. 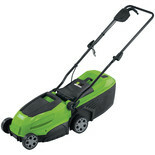 We have lawnmowers that are capable of cutting grass of all heights on even the roughest of terrains. 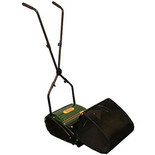 We also stock models that feature large collection boxes, to prevent the hassle of them having to be regularly emptied. 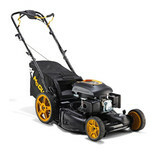 Whether you're looking for Lawn mowers, Power Tools, Woodworking Tools, Hand Tools, Construction Tools - any type of Tools & Equipment, visit your local Machine Mart now and see our huge range in-store, or try our secure on line ordering or Telesales Mail Order service.